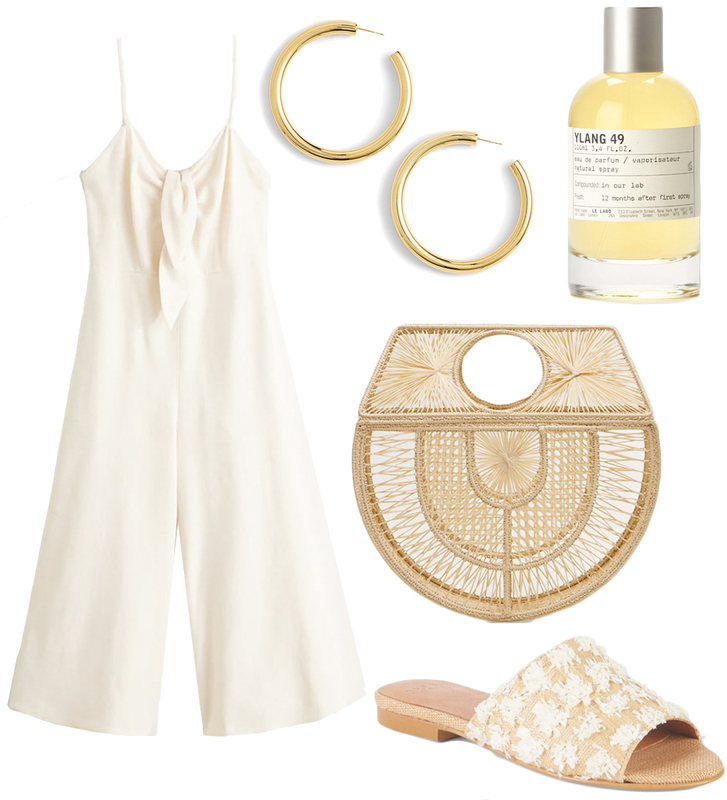 Is this a wishlist or a summer mood board? Maybe a little of both? I know the raffia bag is basically a reimagining of the Japanese bamboo bag, which I have and therefore do not need another similar bag, but still, isn't she gorgeous? When it comes to perfume I'm terribly picky, and I ordered a sample of Le Labo's Ylang 49 over six months ago. I apply it sparingly, and after much deliberation, I think I'm ready to commit. I don't need a size that large, which would probably last me for the rest of my life considering how little perfume I wear, that was just the better image - you know how it is. The raffia slides popped up in a google image search for something entirely different, and you can imagine I was quickly distracted by them. My size isn't available online, but they might be in the store. I might want to go look for them. I'm not supposed to be shopping. Thirty-three is now just two weeks away. Ooh so pretty! This is a perfect Summer outfit, haha. I'm so bad at wearing perfume these days I have a ton but I just never put it on. OMG...those slides would totally go with some jeans I just got!! Ok, I'm dying over that jumpsuit! So cute for spring. Love EVERYTHING on your list. Super cute and versatile. So many cute pieces! 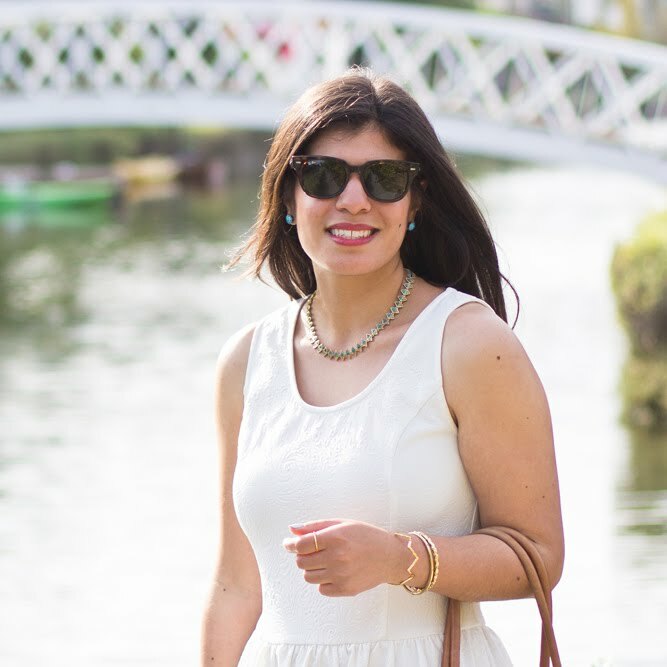 I have a pair of hoops like that from Madewell and I find myself wearing them ALL the time! That bag is to die for! So cute and I love the detail! My 39th is coming up in a couple of weeks and you've inspired me to make my own list! LOVE that jumpsuit! My birthday is 2 weeks away as well - April 12th! Happy early birthday! Great choices Lydia, the slides are something i could easily fall for. I had not idea you were not into perfumes. Hope you're having a lovely week with a nice weekend ahead of you :) We have a busy but fun one planned! Ummmm I definitely wouldn't mind having any of these for myself as well! Gorgeous taste, girlfriend. Can't wait to see how you celebrate your birthday! So exciting that your birthday is coming up! And I'm loving your birthday wishlist! The jumpsuit and bag is my favorite! That handbag is EVERYTHING! I am completely obsessed with it. Also, adore this full look you have created! Those shoes are so cute!! I need them! I am loving this summery inspo- give me all the raffia things! This whole outfit is so vacation-ready! I would love to see you wear them!